Submit Wishlist — Citrus + Sage Co.
Tell us what you're looking for and your overall event vision, then receive a personalized quote within 24 business hours complete with availability and pricing. What size linens do you need? What is the estimated # of linens you need? What specific C+S linen designs are of interest to you? We'd also love to hear about the overall event vibe and vision you're going for (sleek and modern, Bohemian, rustic farmhouse, shabby chic, etc. ), and any color schemes you've selected. Thank you for your wishlist submission! We look forward to presenting you with a personalized proposal within 24 business hours complete with style ideas and pricing. In the meantime, feel free to reach out to us at info@citrusandsageco.com with any additional questions.  Thank you for visiting Citrus + Sage Co! Copyright 2017. All rights reserved - Citrus and Sage Co. Design by Hello Big Idea. Photography by Lauren Pusateri.